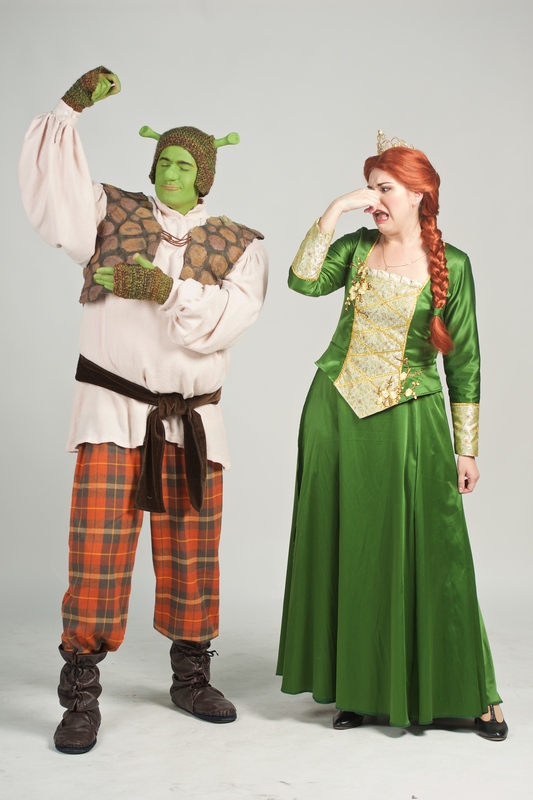 The Woodland Opera House will present the Broadway hit-musical “Shrek, the Musical” opening Friday, August 3rd at 7:30 p.m. The show runs Fridays and Saturdays at 7:30 p.m. and Sundays at 2 p.m. through August 26th. The musical is generously underwritten by The Opera House Guild. “Once upon a time, there was a little ogre named Shrek….” And thus begins the tale of an unlikely hero who finds himself on a life-changing journey alongside a wisecracking Donkey and a feisty princess who resists her rescue. Throw in a short-tempered bad guy, a cookie with an attitude and over a dozen other fairy tale misfits and you’ve got the kind of mess that calls for a real hero. Luckily, there’s one on hand… and his name is Shrek. Based on the Oscar-winning DreamWorks Animation film, “Shrek the Musical” is a Tony Award-winning fairy tale adventure, featuring all new songs from Jeanine Tesori (“Thoroughly Modern Millie”; “Caroline, or Change”) and a sidesplitting book by David Lindsay-Abaire. “Shrek” brings all the beloved characters you know from the film to life on stage and proves there’s more to the story than meets the ears. Recommended for ages 8 and up.